they are an insurance agency. check them out... and see. I can get you 70% off your car insurance. If you're willing to buy an insurance policy that doesn't cover anything. If you want SOME coverage, then the discount gets smaller and smaller. Auto insurance policies are not the same. There are crap policies being sold in the marketplace. That doesn't mean that every cheaper policy provides less coverage, but it's quite possible. Comparative rating is a waste of time unless you calculate the value of what you purchase, considering price, coverage, YOUR unique loss exposures, claims practices, etc. It would be great if you would give us a try. We are an insurance technology startup based in San Francisco. 1. Signup at gabi(dot)com in less than 1 minute: During signup you are asked what your current insurance company. You can either secure link your online insurance account or send or upload your current policy. 2. Once we have obtained your policy we will send you insurance review within 48 comparing every major insurance company in the market (15). The quotes are for the same coverage you currently have on your policy so you can compare "apples to apples"
What's in it for us? We are a licensed insurance agency in California. So for some policies we sell we earn a commission that is paid by the insurance company, but our software recommends whatever is best for you. "The quotes are for the same coverage you currently have on your policy so you can compare 'apples to apples'"
No, the quotes aren't...unless the policies are identical as are the carriers' claim practices. Auto insurance is not a commodity. Auto insurance policies are different. Just because the limits and deductibles are the same for Liability, Medical Payments, UM/UIM, and Physical Damage between two companies doesn't make that an "apples to apples" comparison. You have to look at the specific terms and conditions, especially the exclusions and other limitations. Consumers, don't be duped by so-called InsurTech startups. And, sure, it'll only require one minute to track that pea as it moves between the shells. 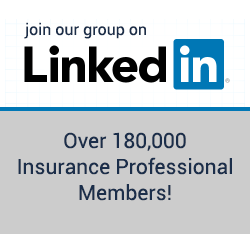 We are a licensed insurance agency in California. Do you only sell insurance in California then? If you sell insurance in other states are you licensed in each state in which you sell policies? There's another way of doing it. Go to your state's insurance department website and see if they have one of those online premium comparison guides. Many insurance departments publish annual surveys of what insurance companies charge. The survey includes direct writers and companies represented by independent agents. You can also find out how many complaints any particular insurance company has. You still have to do your homework but those surveys give you a starting point. No, the quotes aren't...unless the policies are identical as are the carriers' claim practices. Auto insurance is not a commodity. Auto insurance policies are different. Just because the limits and deductibles are the same for Liability, Medical Payments, UM/UIM, and Physical Damage between two companies doesn't make that an "apples to apples" comparison. You have to look at the specific terms and conditions, especially the exclusions and other limitations. I agree with that last sentence. Every insurance buyer should become familiar with the policy terms, conditions, exclusions and limitation. But I don't agree with the first part of the paragraph. Auto insurance policies within any particular state are almost identical because the forms have to be approved by the state insurance departments. That's why many insurance companies us the ISO (Insurance Services Office) standard Personal Auto Policy and when they use their own forms the wording is virtually identical. That's because policy terms, conditions, exclusions and limitation have been tested by the courts for many decades and insurance companies vary from those provisions at their peril. Some carriers do use pure ISO forms. Most do not. Even minor form language differences can result in catastrophic coverage gaps. Ask the kid who killed his passenger street racing. His policy excluded racing while the ISO form only excluded racing inside a facility designed for racing. That's an extreme example but you are right. I have a Safeco form from a few years ago that has the more rigorous exclusion which I will call the Stupidity Exclusion. I know a person who was looking at Gabi, however he was sent a agent of record form to sign. Why does Gabi need a AOR in order to compare rates? I am unwilling to give them access to my current policy website. I autopay my auto insurance and my credit card information is on that website. there is no way I would give anyone access to that. Looking for an Experienced Employee in Nc.